Who is this girl? This is Jane. She's definitely not Baby Jane anymore. 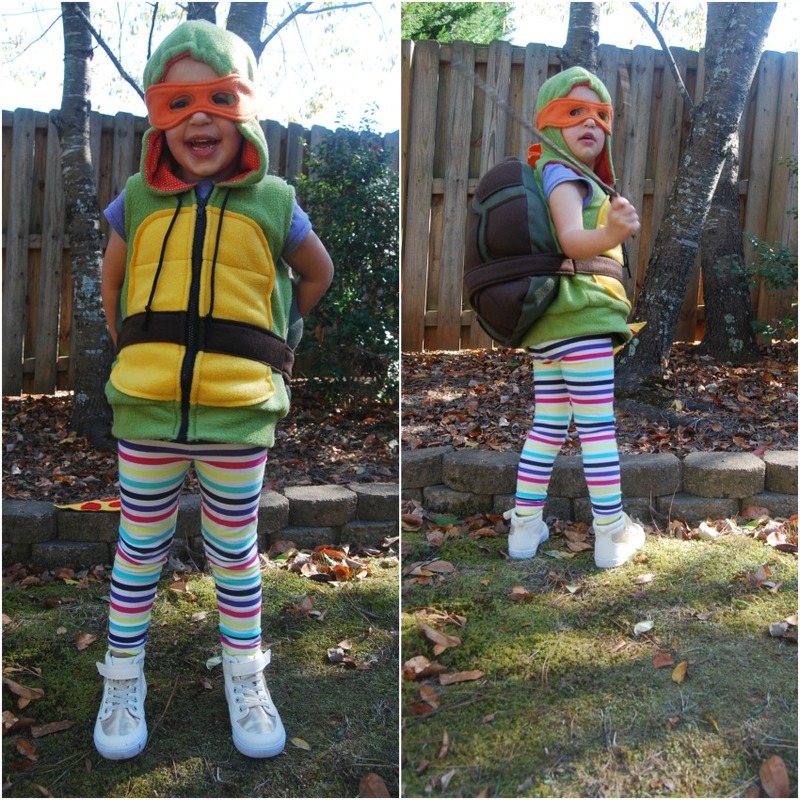 She has somehow morphed in to this tall, long-legged little girl who love ninja turtles. She is such a nut. 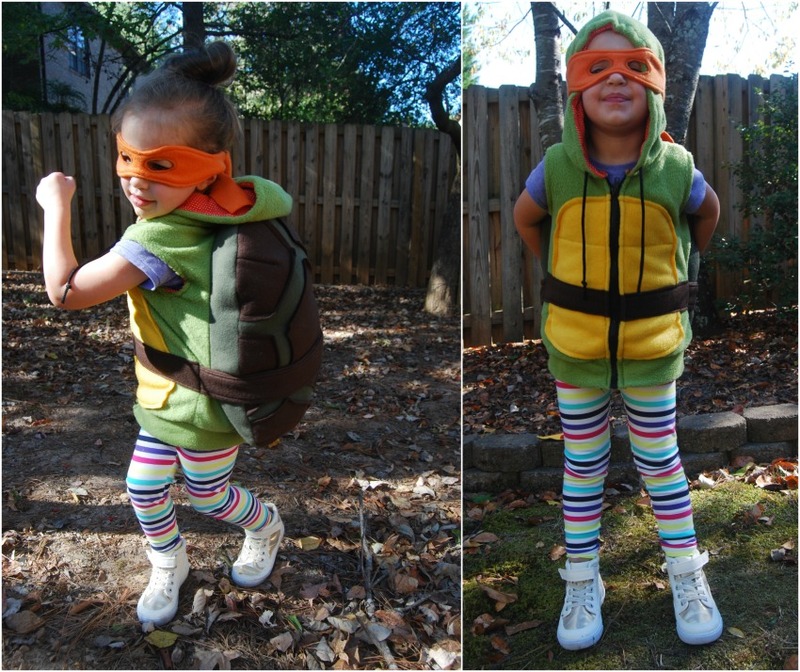 She wanted to be a ninja turtle for Halloween. The orange ninja turtle, to be specific. I could have bought a costume this year but I'm so glad I didn't. This is my Halloween tradition. I wish I could explain how I made this little vest/hoodie thing but I made it up as I went along. I used fleece again. I think I've used fleece for all of her Halloween costumes so far. Its so easy to sew a costume with. Hides mistakes well. 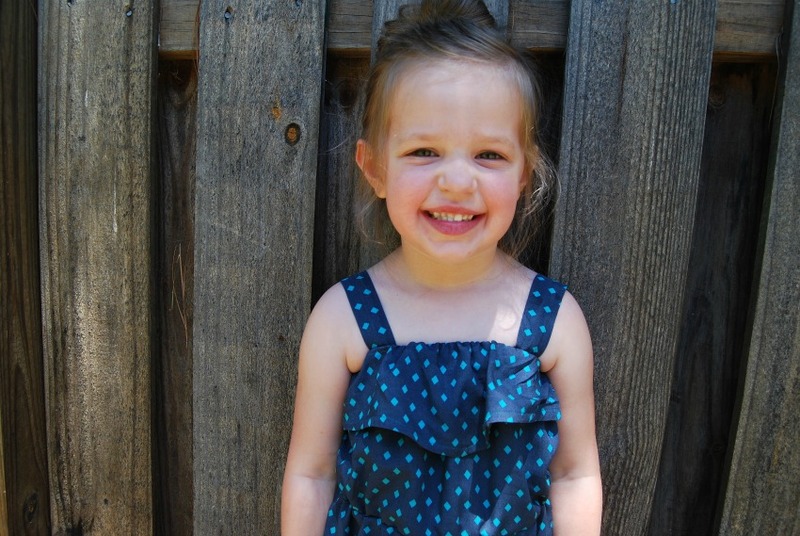 I used the same McCalls hoodie pattern that I used last year for her dinosaur costume. I had already cut the pattern but had another pattern piece where I could see the size differences. 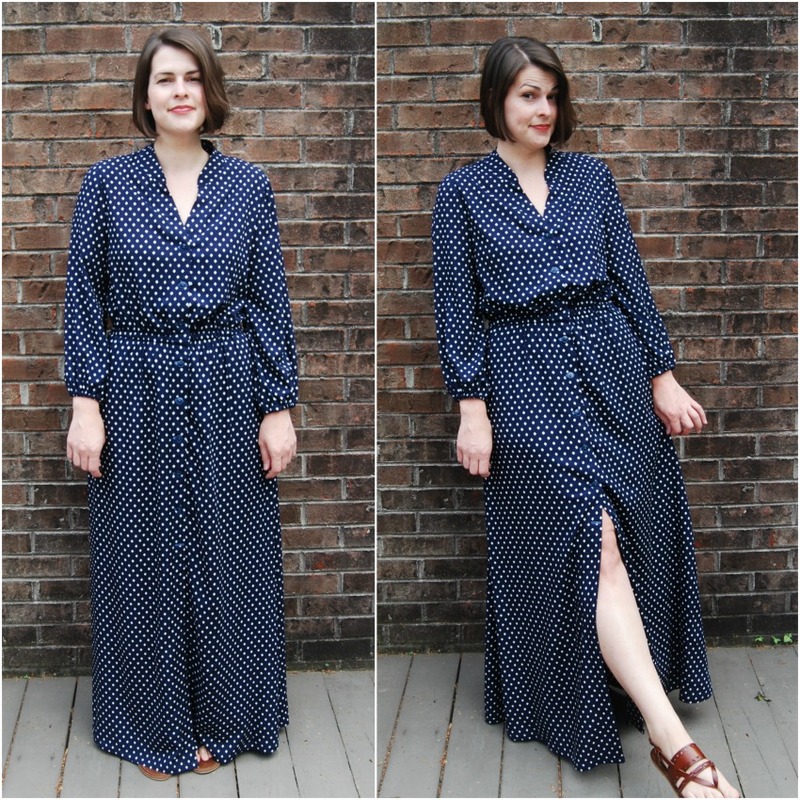 I cut the longest length (a size 5, I think) and added a little bit of width to the body (which previously was a size 2). I didn't change the shoulders at all since her dinosaur hoodie still seems to fit her. I could have used a bit more width in the body but I think that's because of the shell on the back. The order of construction is what I made up as I went along. The shell mainly. I cut two oval-ish shapes for the shell, stitching hexagon-ish shapes on the top piece. I sewed darts at each 'corner' of the top shell piece to give it more shape. I sewed the bottom oval to the back hoodie piece first. I stitched it on as a big oval in the middle. Then, I sewed the front pieces of the hoodie to the back. 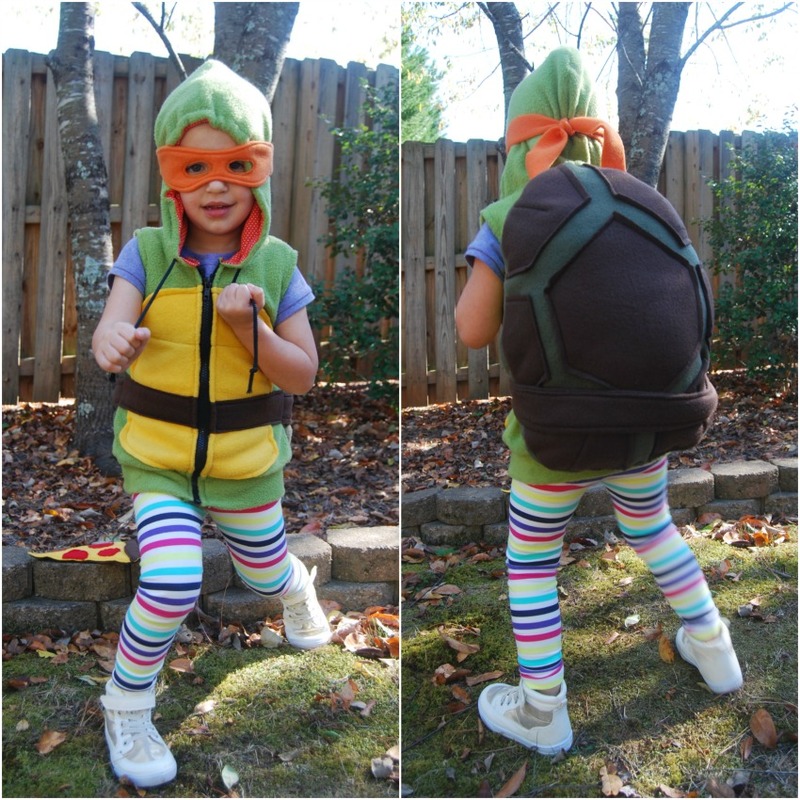 Then I sewed the top of the turtle shell to the bottom shell, pinning the hoodie inside. I left a hole and flipped the whole thing inside out through the hole. I probably didn't explain that very well but like I said, I was making it up as I went along. There was a belt in there somewhere, too. I was pumped it all worked, especially since I was so rusty on the sewing machine. There is some seriously shoddy sewing on this costume, so don't look too closely. I lined the whole thing with some thin knit in my stash and added the drawstring to the hoodie. The shell is stuffed with polyfill. It kind reminds me of a backpack. I should have made it a backpack! Ah well. 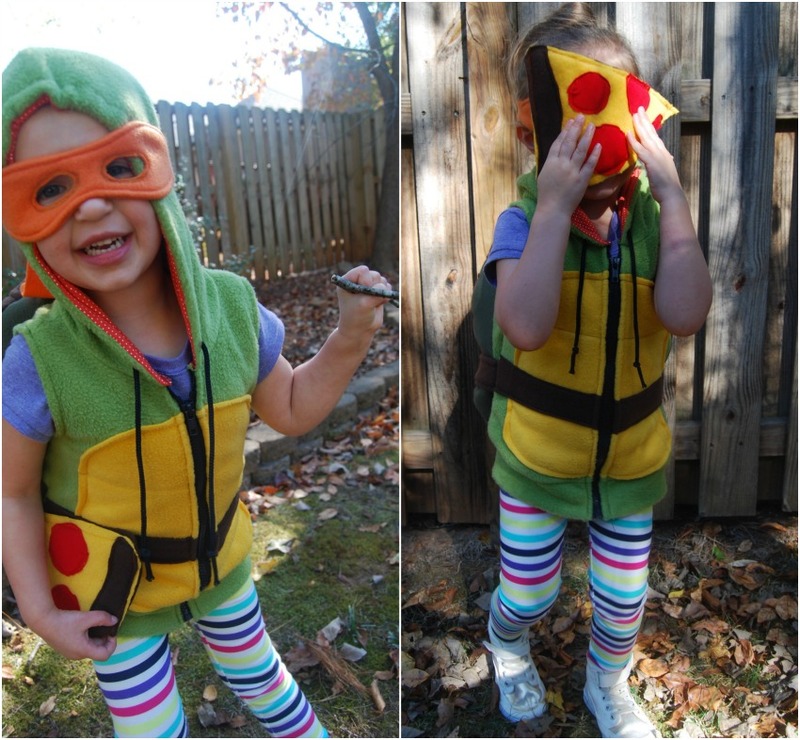 Jane was insistent on having me make the orange mask, but then refused to wear it on Halloween. She wore the hoodie and carried the pizza slice. The pizza was a last minute idea/addition. 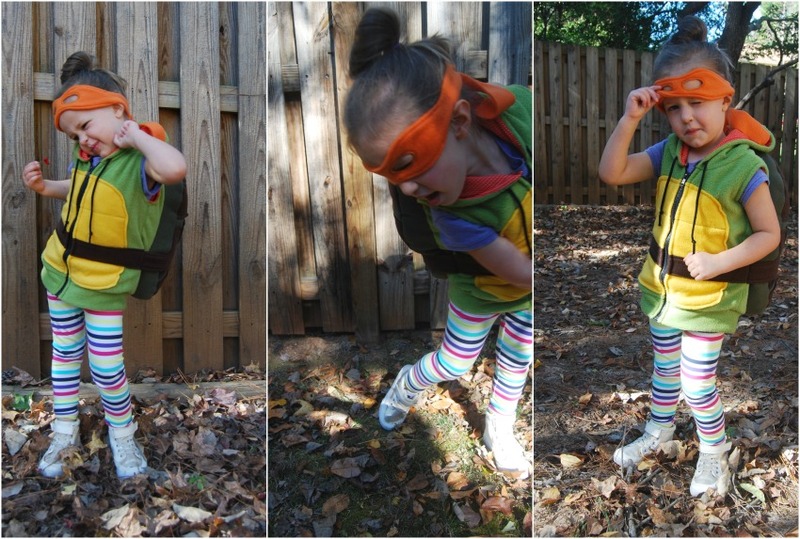 She has some great girly ninja poses, doesn't she? She is so funny. 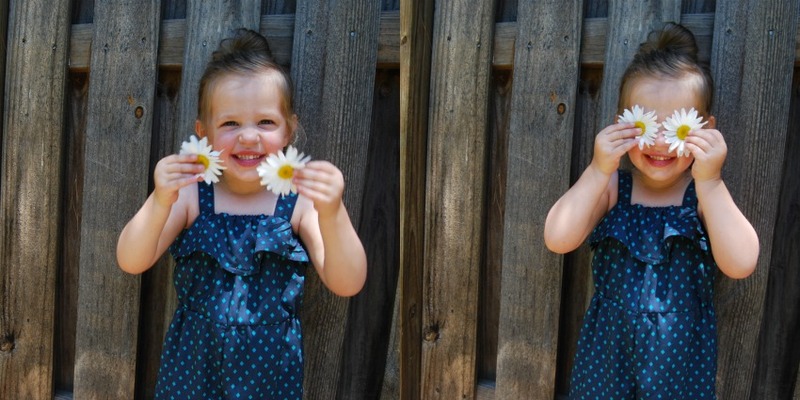 I can't tell you how entertaining it is to have a three year old. I'm pretty sure she loved her costume and we had a blast trick or treating the the other night. 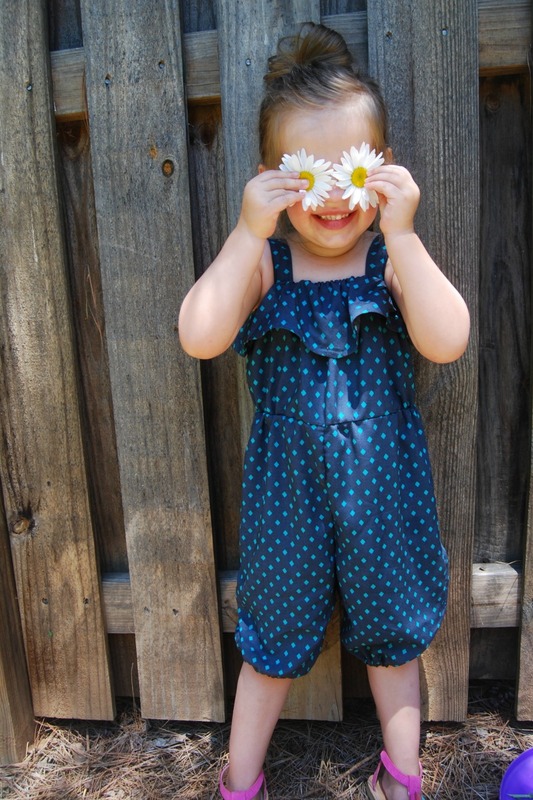 Jumpsuit! Who would have thought I would make a jumpsuit? Not me. I have to admit that I wasn't sold on the trend last summer. 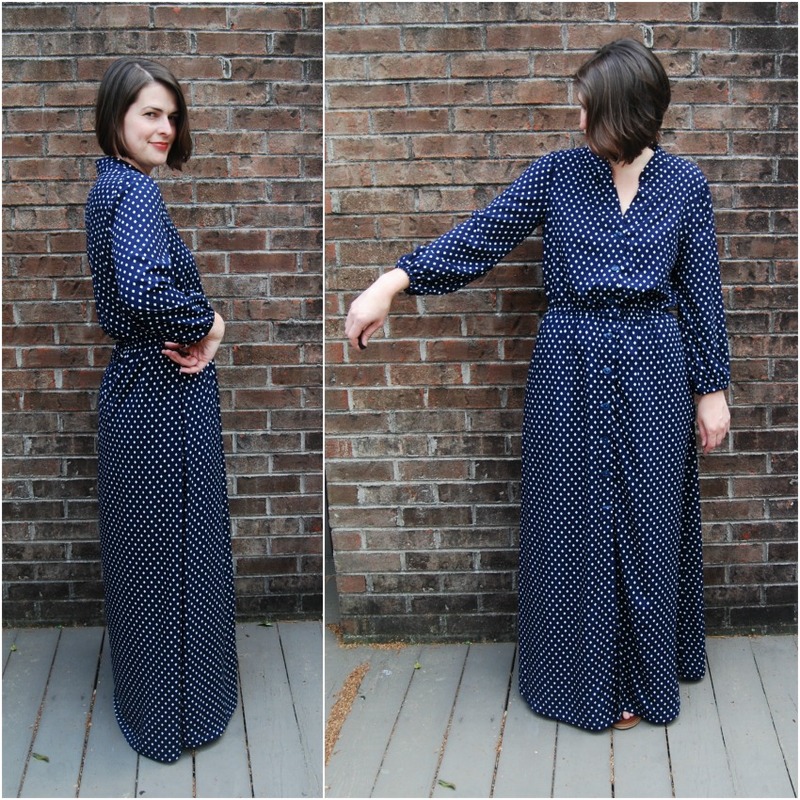 But I've seen so many awesome jumpsuits out there in sewing blog land now that I've been convinced. However, the bathroom issue was a big hurdle for me. I think I would be ok with the whole having to undress to use the restroom every once in a while. But that would definitely stop me from wearing it on a regular basis. I wanted something wearable for the summer. 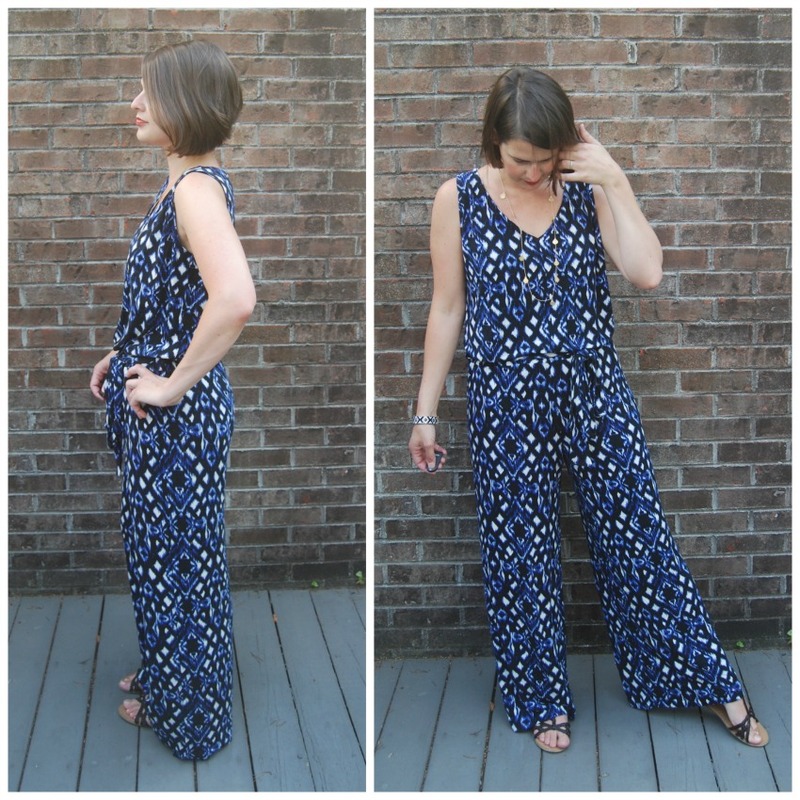 Enter the faux jumpsuit! 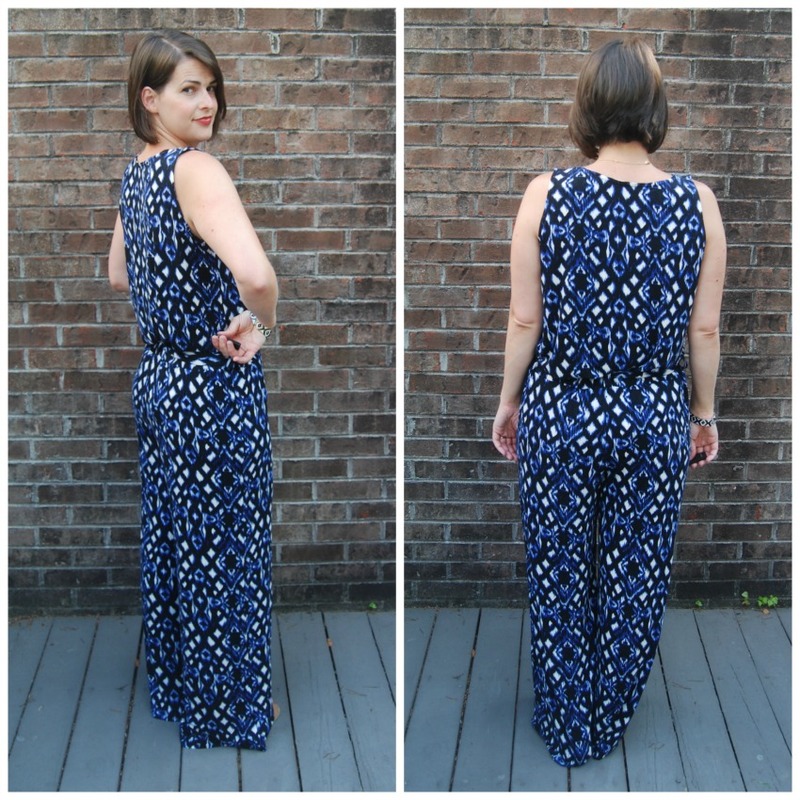 This jumpsuit is actually two pieces- a top and wide leg pants. I've had Simplicity 1112 in my stash for a while. 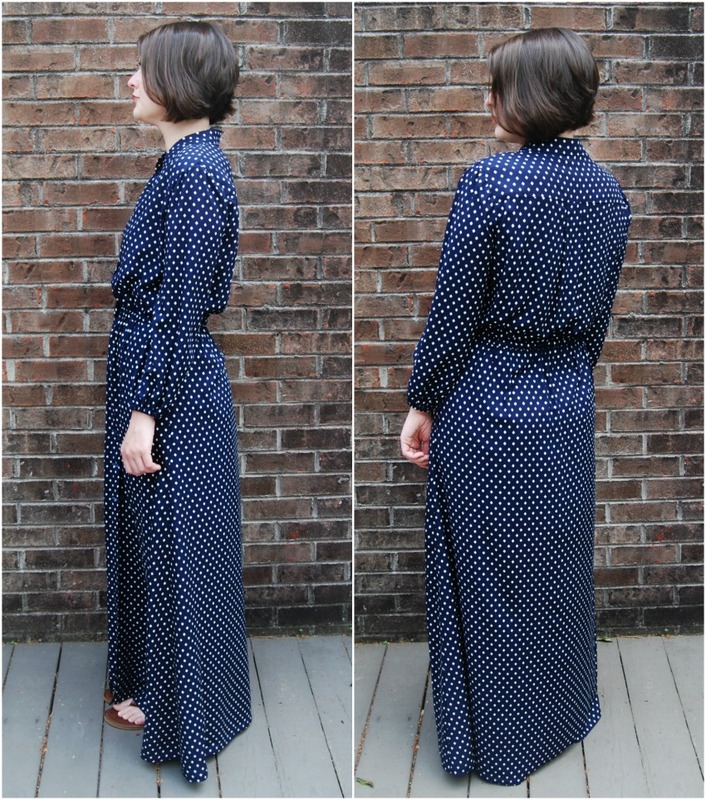 I liked the wide leg pants as part of a jumpsuit. They are basically like big pajama pants. And I like the tie belt. I think the belt makes it look more jumpsuit like. I made the pants first. 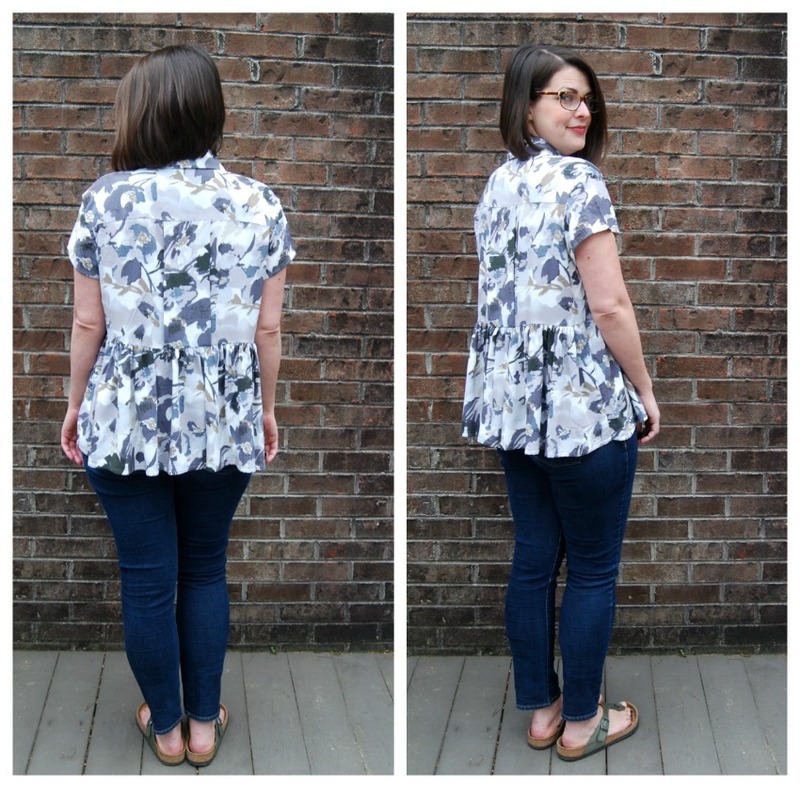 I planned on making the top from the pattern as well but when I looked at it again, I changed my mind. Strapless bra. Nothing will stop me from wearing something faster than having to put on a strapless bra. I wanted a simple v-neck tank I could tuck in with some bra coverage. I searched through all my billions of patterns and came up with nada. 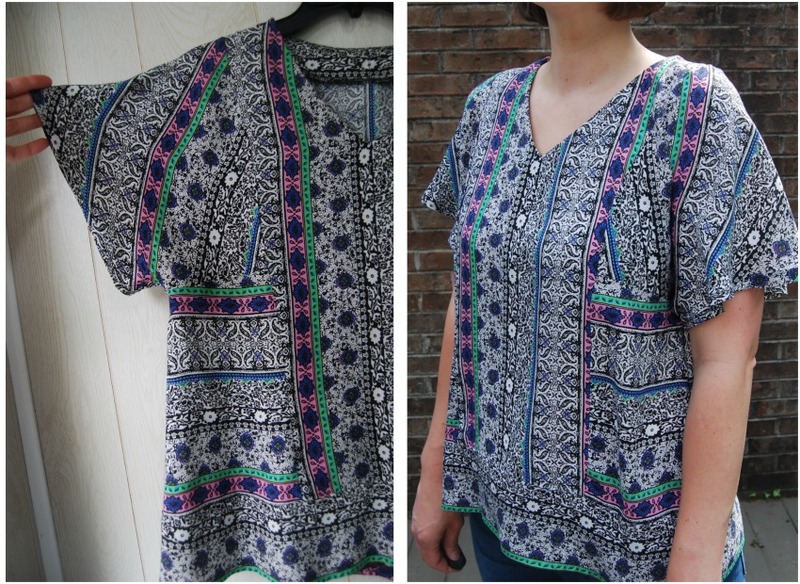 I wasn't interested in purchasing anything new so I traced a favorite rtw top for a pattern. I was really uncertain if it would work but it was simple enough for me to try. 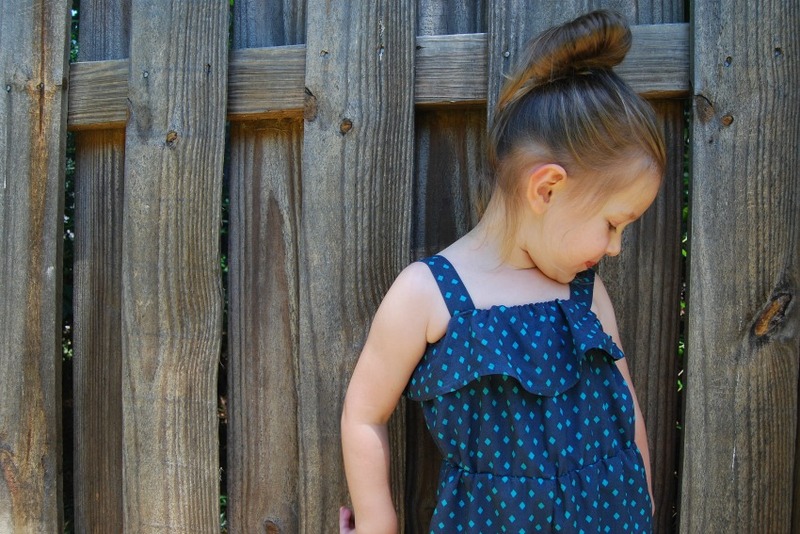 There is a front seam and the neckline and armholes are finished with a knit facing. Nothing special but I was very pleased with how it works as a jumpsuit. The original top I traced was a woven top so there are some issues because of that. 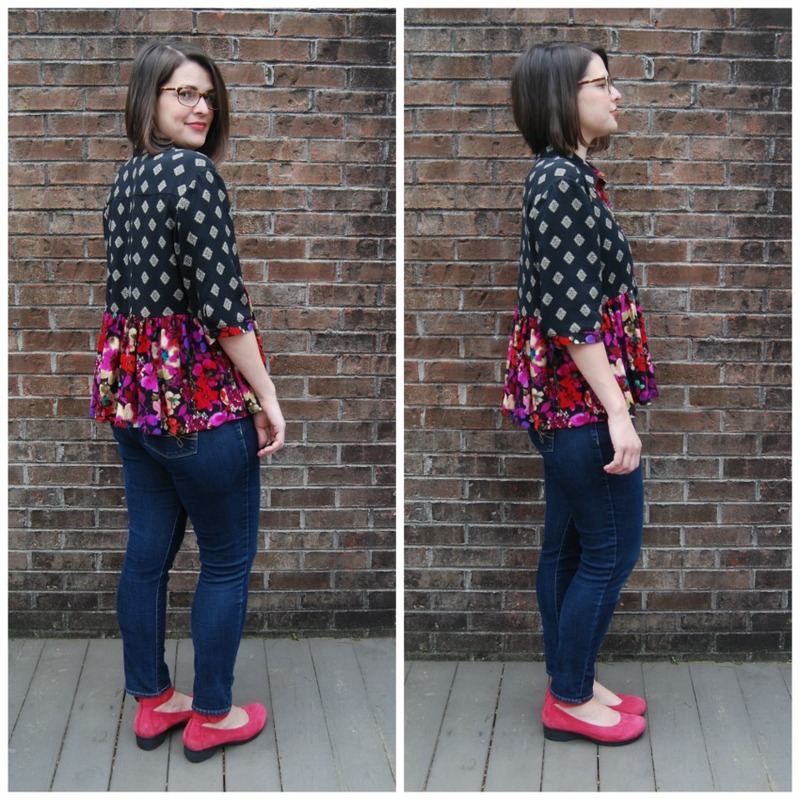 Here is a quick pattern review of the pants. 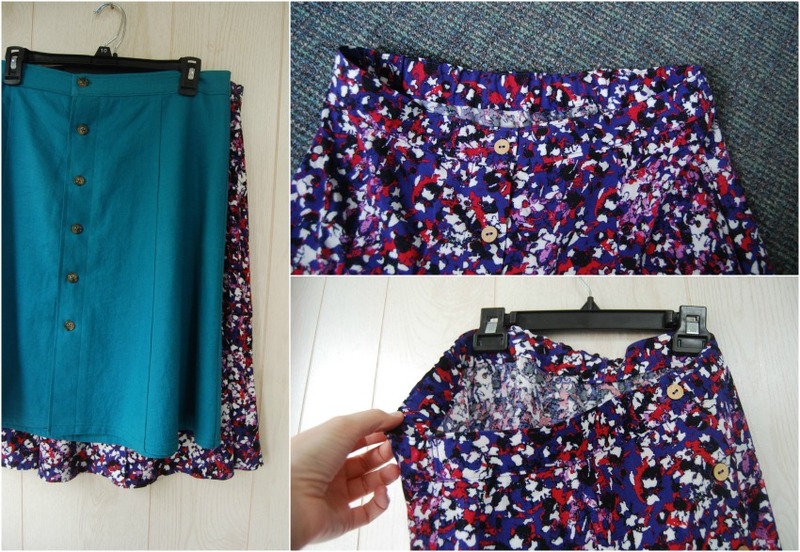 Pattern Description: Sportswear pattern that includes pull on pants, shorts, high-low skirt all with elastic waist. Also includes a strappy top. 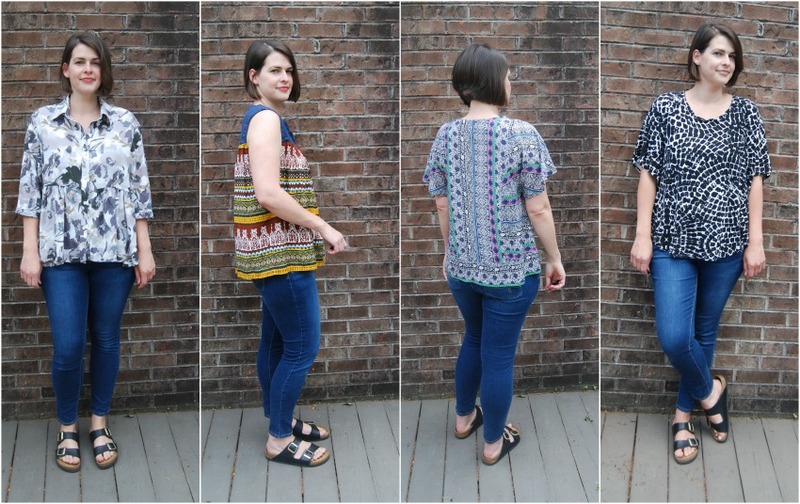 Pattern Sizing: Sizes 4-20. I made the pants in a size 16. 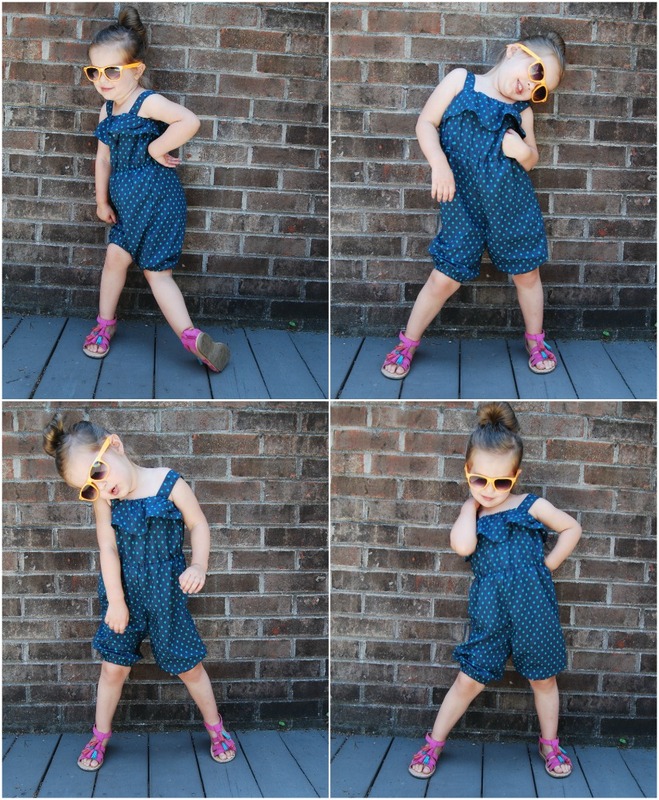 Fabric Used: I think the success of this faux jumpsuit really lies in the fabric. 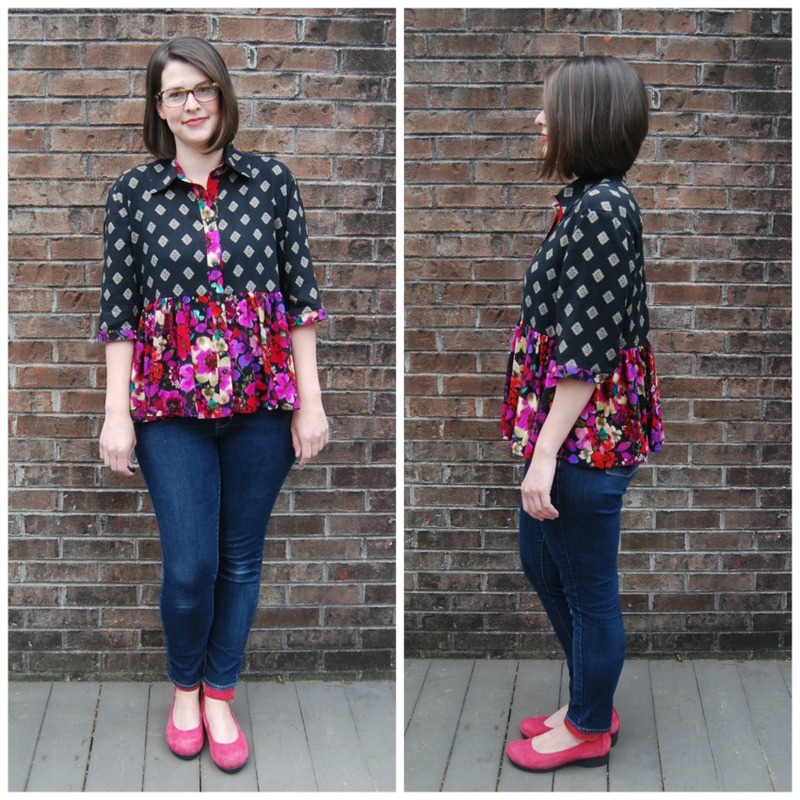 I used a really fabulous rayon jersey. I love the blue and black print and the weight was just perfect. 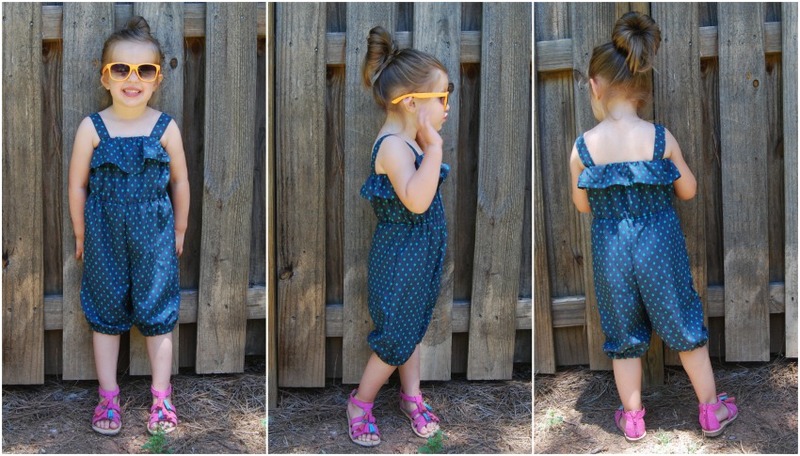 It has great drape but it's not too thin. Nice stuff. It was an impulse buy from fabric.com. I did my best to keep the pattern placement balanced. Not necessarily matched but just balanced. I think I did a pretty good job on the pants but I screwed it up on the front seam of my top. It's not that noticeable, though. Likes/Dislikes: The pants are fine. 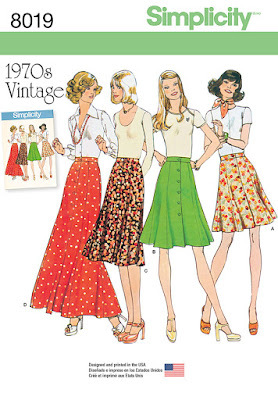 They are your basic wide leg pants with an elastic waist. 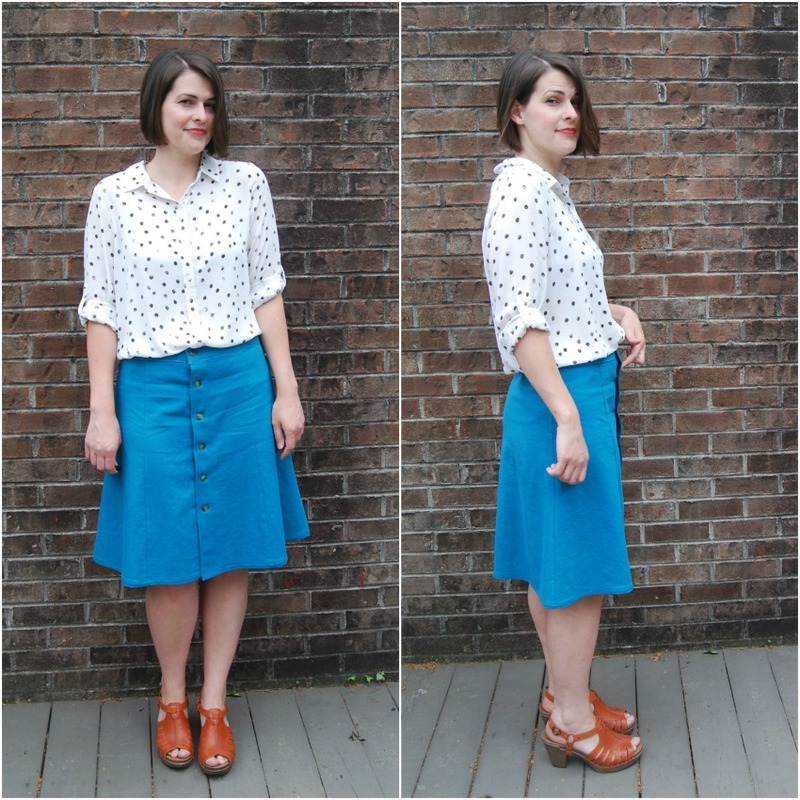 Wide leg pants are pretty forgiving to sew. They are nice and long, too. I did add some length when I cut them them out but I didn't need to. I took it back off when I hemmed them. But beware of the rise! See below. Alterations/Deviations: I held up the pattern tissue to check the length before I cut out my fabric and noticed the crazy high rise. I took a two inch tuck from the rise to shorten them. And I am long waisted! I am sure the rise is long because they are wide legs pants and the crotch seam is supposed to sit lower. But I didn't need all that length. I do think I could use just a touch more room in the seat, but that may have something to do with shortening the rise. 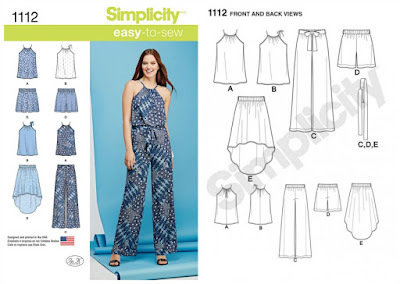 Conclusion: Easy little pants pattern. 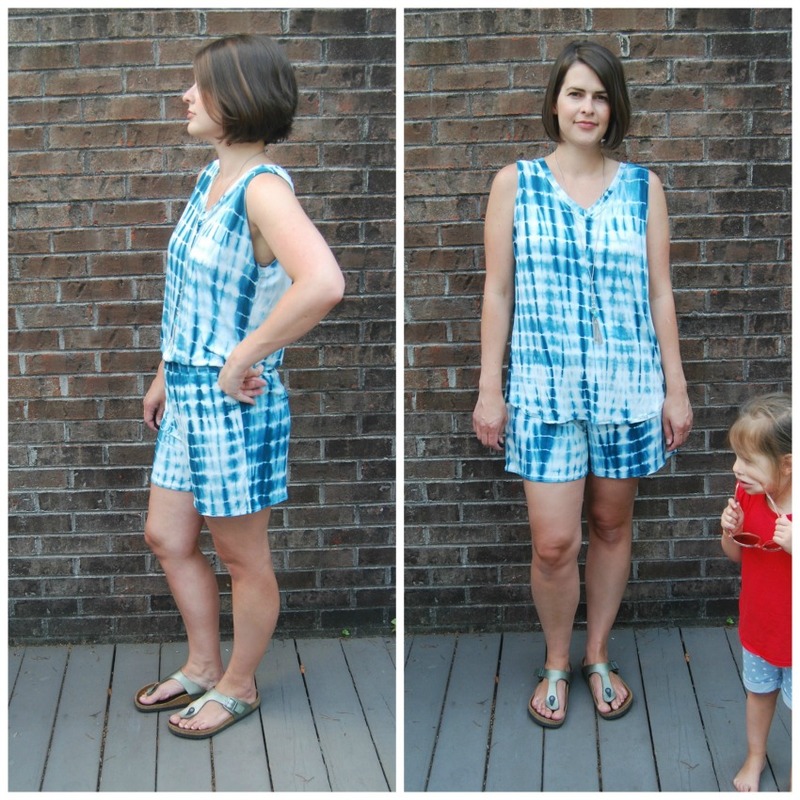 I made a shorts version for my faux romper (below) and I've made another shorts version for lounging around that I'm not blogging about. I'm very happy with the faux jumpsuit. And the best part is that I can also wear the top and pants separately. 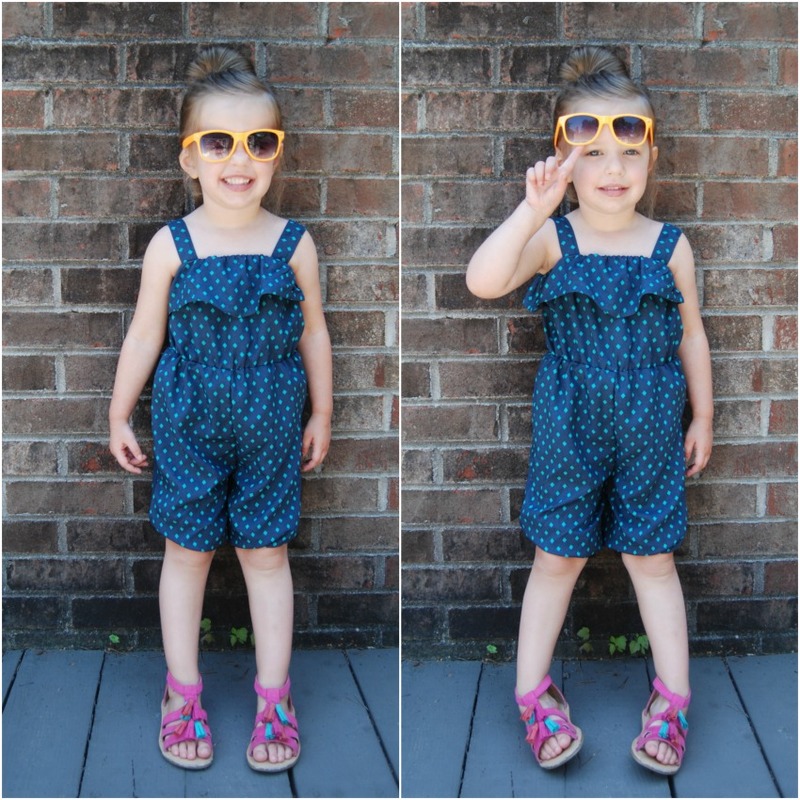 After the success of my faux jumpsuit, I decided to make a faux romper (shorts) for our upcoming beach trip. 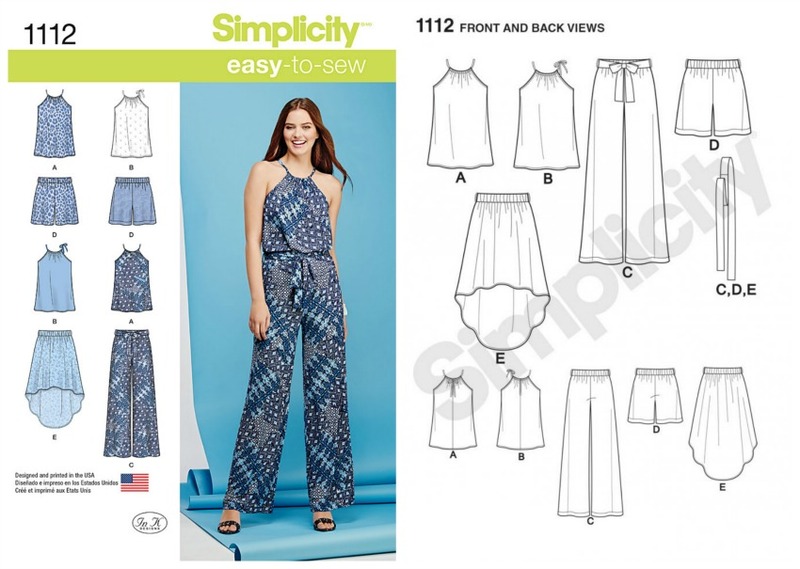 I made the same Simplicity 1112 pants pattern and v-neck top rub off. But blergh. I did not like the look of the v-neck top tucked in to the shorts. I think it would look better if the shorts were shorter but I'm not going any shorter than this. This is the shorts hem line per the pattern minus about one inch. I know it's longer for shorts but it's a length I'm comfortable with. 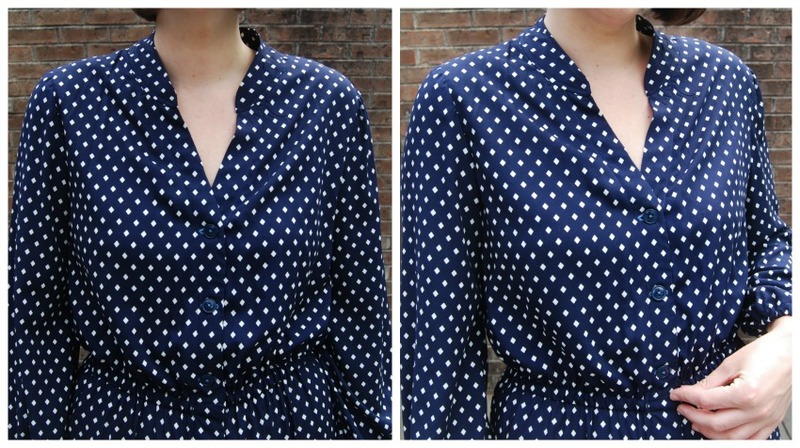 I do like the look of the two pieces untucked. It's perfect for going to the beach and the pool. And honestly, it's great for presentable pajamas, too. 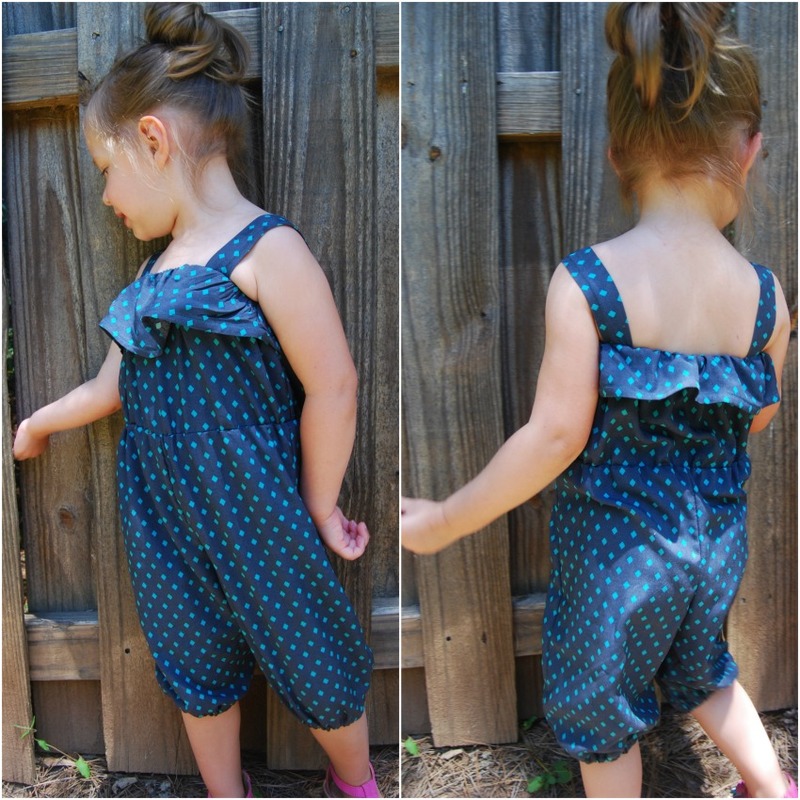 After I made the faux romper, I had enough fabric left for another top. 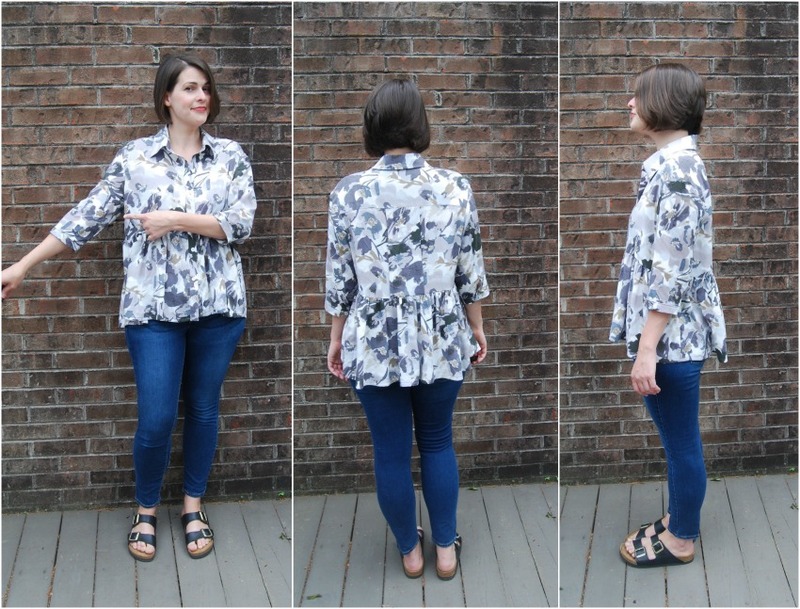 So I decided to try the Hey June Patterns Santa Fe top that I've seen so many awesome versions of. This is just the first of many, I am sure. 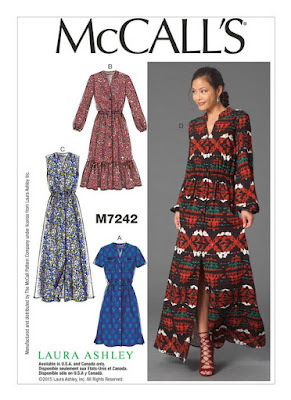 I must really like it because I actually bought and put together a pdf pattern. I hate pdf's with a passion, but I will put one together if it's something I really want to make. 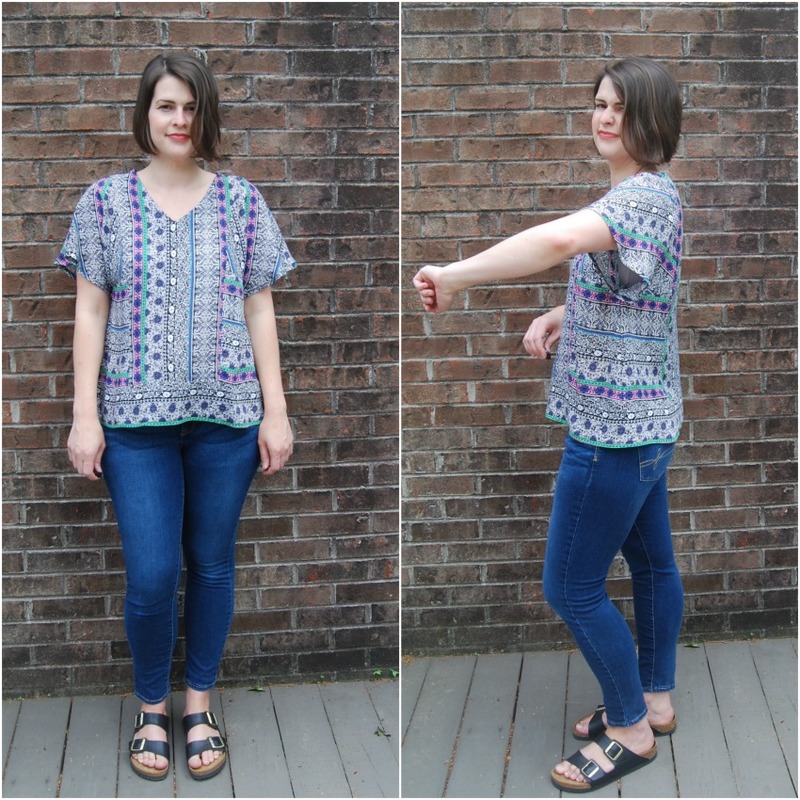 Pattern Description: The Santa Fe top is a loose, flowy tank or dolman sleeve top. There are some interesting seam lines on some of the variations that resemble raglan sleeves. 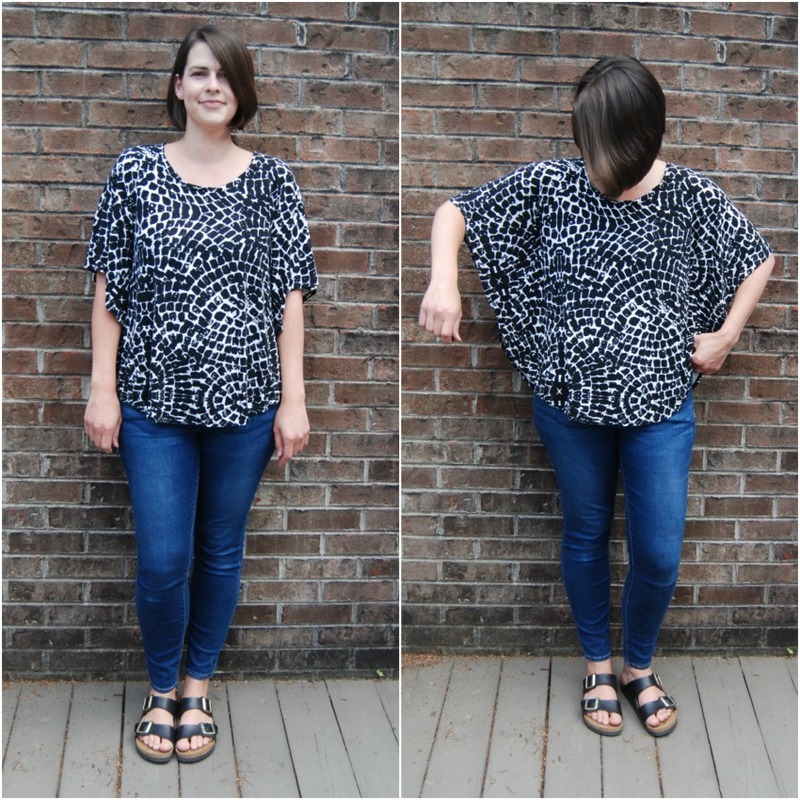 I was drawn to the relaxed shape of the dolman sleeve top and the sleeve cuffs. There are lots of options with the pattern that makes it worth the price (this comes from someone who pretty much just buys Big 4 patterns on sale). 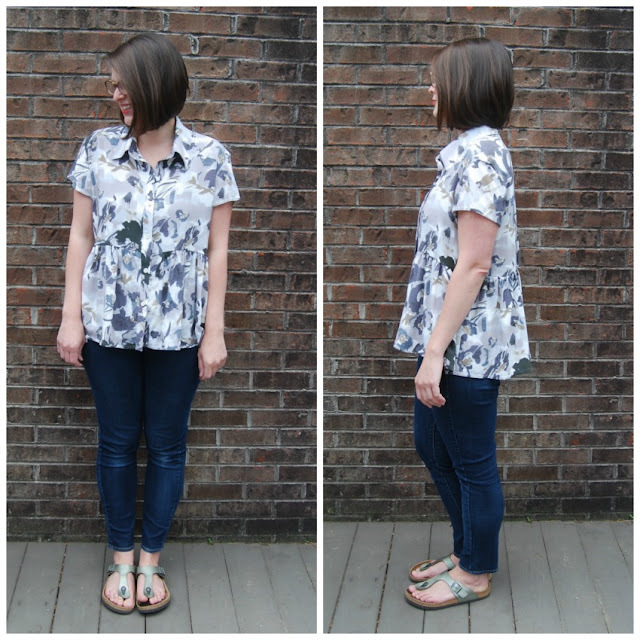 Pattern Sizing: XS-2XL. Lot of sizes, too. I made a medium. 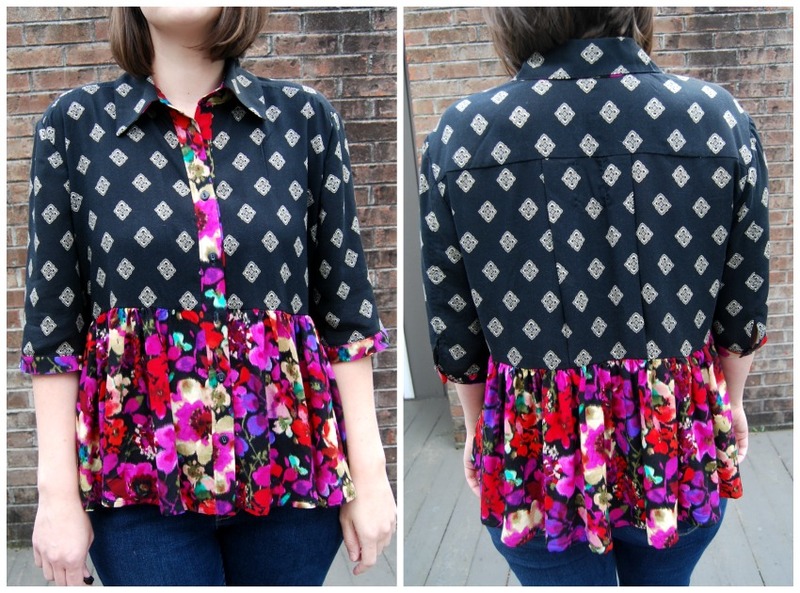 Fabric Used: This fabric is pretty fabulous, too. 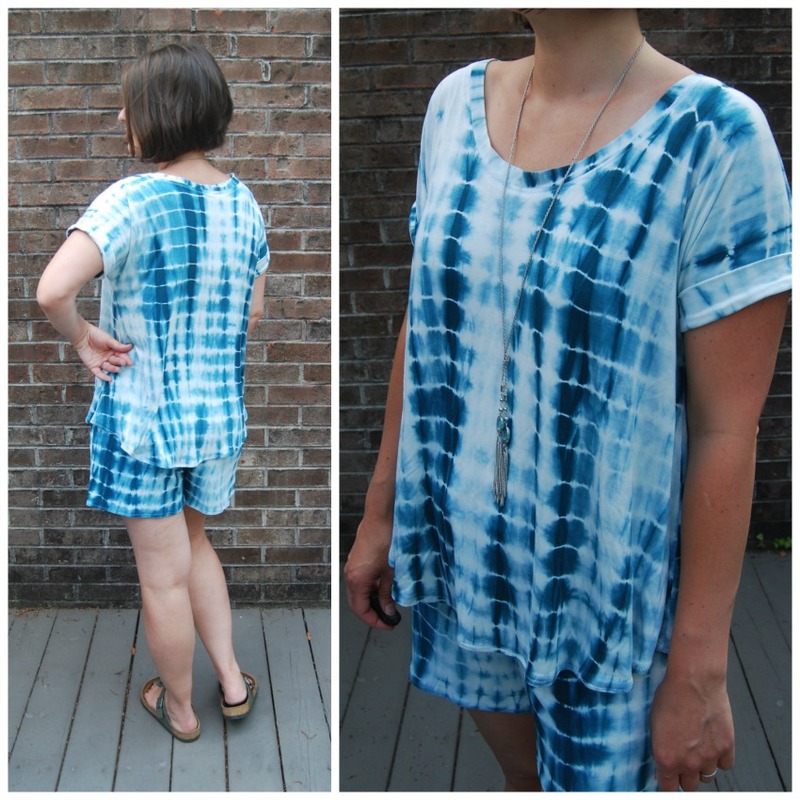 It's a shibori dyed bamboo jersey. It's so soft and drape-y. Perfect for lounge wear. Likes/Dislikes: No dislikes on this version. 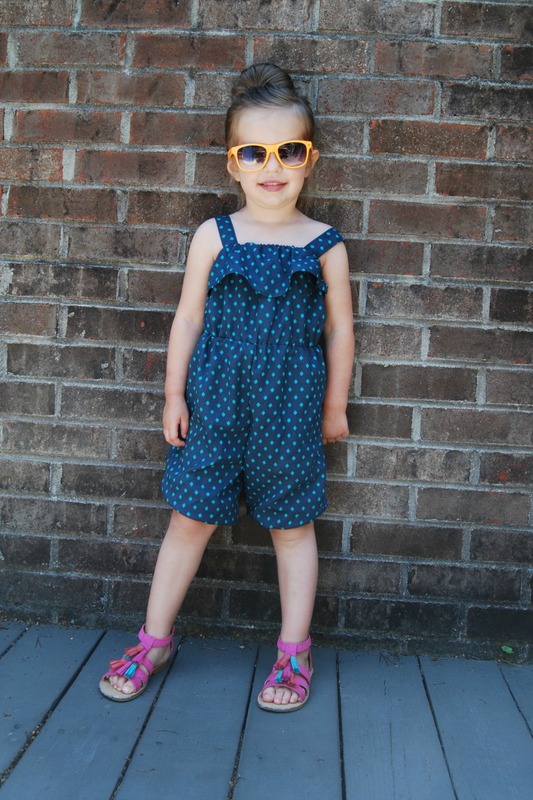 I made the pattern as is except for the neckband. 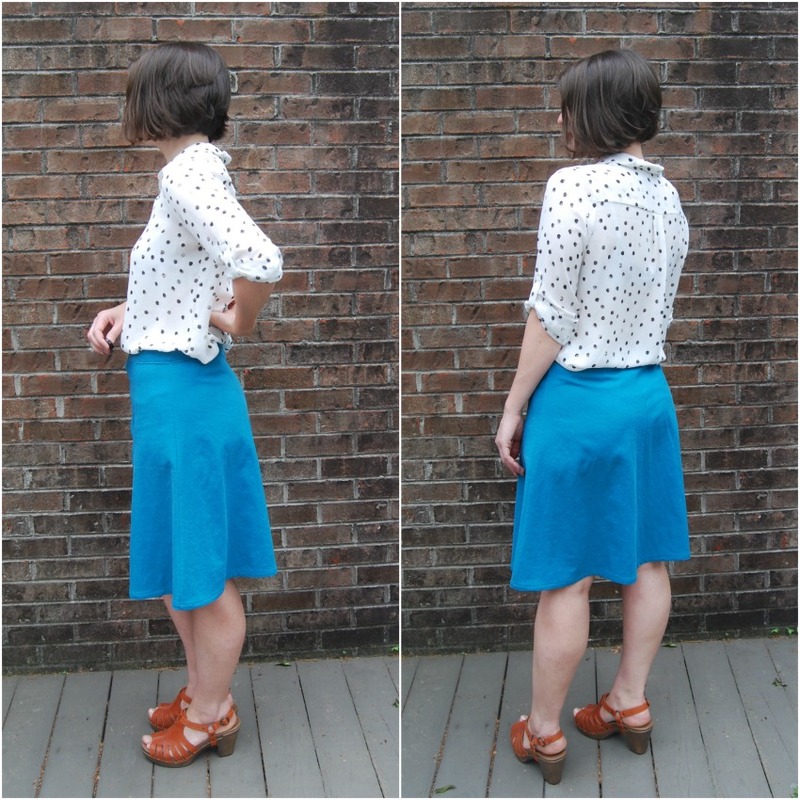 Alterations/Deviations: I did a neckband instead of binding per the instructions. Mainly because I am terrible at top stitching my binding. Making a band is much faster and I don't have to stress over wobbly top stitching. Conclusion: Nice little tee pattern. I've already made another dolman tee (with the insets) that I love. 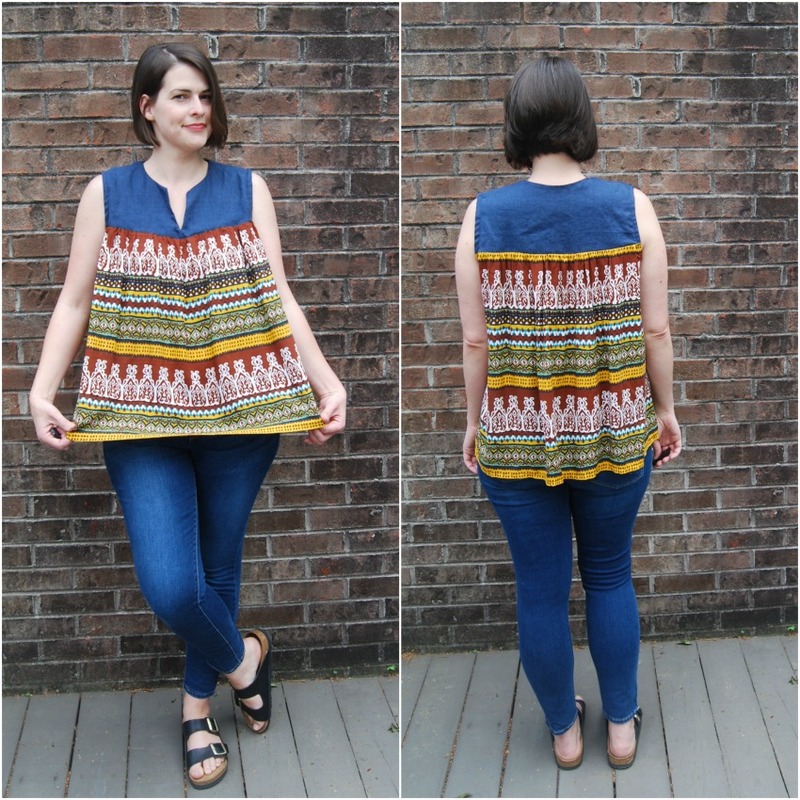 I've also made the tank but am not loving the silhouette as much as the tee with sleeves. I plan on making another, though!